In Rochester, N.Y. celebrating St. Patrick&apos;s Day is part of our city&apos;s story. Rochester is a city on the famous Erie Canal, which was built by Irish Immigrants for the purpose of commerce generations ago. Today the Erie Canal is a tourist attraction and remains a testament to their hard work, ingenuity, and engineering. 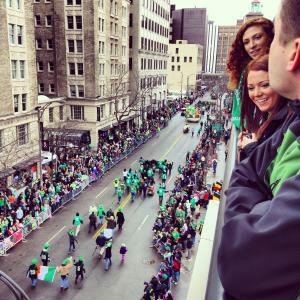 While we wait for the canal to open for the spring season, Rochester is ready to celebrate all its Irish pride this weekend with both exciting adult and family friendly events. Don your brightest green and join us Saturday March 11th in Downtown Rochester for the Annual Rochester St. Patrick&apos;s Day parade. It all starts at 12:30 pm at the corner of East Avenue and Scio Street, with the parade continuing down Main Street. 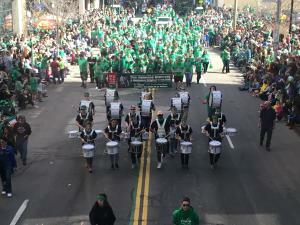 See all the colorful characters, local organizations, and musicians march through downtown Rochester with gleeful Irish fanfare. Ready to get into the St. Patrick&apos;s Day spirit? Here are even more ways to celebrate St. Patrick&apos;s Day in Rochester, NY. Start Friday, March 10th with Irish Night at the Rochester Americans Hockey Game as they take on the St. John Icecaps. Start the night off with a pre-game happy hour with live Irish music by the band 1916. During and following the parade on March 11th, join the Radisson Hotel Rochester Riverside for the Family Celtic Faire from 11:00 am-4:00 pm. Featuring Irish dance performances, a magician, petting zoo, photo booth, hair braiding, temporary tattoos and craft stations, plus other fun, family oriented activities. It all ends with a great performance from a pipe band! The international Irish dance phenomenon Riverdance is back in Rochester for the 20th Anniversary World Tour, March 10-12. Drawing on Irish traditions, the combined talents of the performers propel Irish dancing and music into the present day, capturing the imagination of audiences across all ages and cultures in an innovative and exciting blend of dance, music and song. Get your tickets through the Rochester Broadway Theatre League. Celebrate St. Patrick&apos;s Day in style at the Penthouse on East Ave overlooking the parade on March 11th for their Shamrock&apos;n Party. 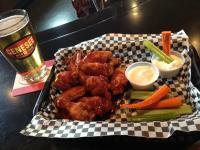 Guest will enjoy live music with The Crooked North and Tommy Brunett Band. There will be a cash bar featuring Guinness, Jamesons, local beer and cocktails from Iron Smoke Distilling and yummy offerings from McCann&apos;s Local Meats. On March 10th Dinner theater returns to The Lodge at Hidden Valley Animal Adventure with “O’Malley’s Irish Pub", a family story performed by Enchante Cabaret. O’Malley’s Irish Pub features plenty of music including Irish melodies, Broadway numbers,Pop songs and a pub-style sing along of “When Irish Eyes are Smiling”. 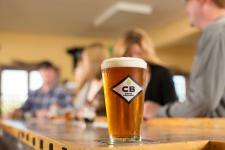 Irish or not, everyone will enjoy the beer selection of both local and regional brews and spirits at these local favorite spots. Even if you miss all the fun this weekend, we hope you will mark your calendar to join us next year here in Rochester for all the St. Patrick&apos;s Day fun! Visit Rochester staff share the inside scoop on Rochester and the Finger Lakes region.